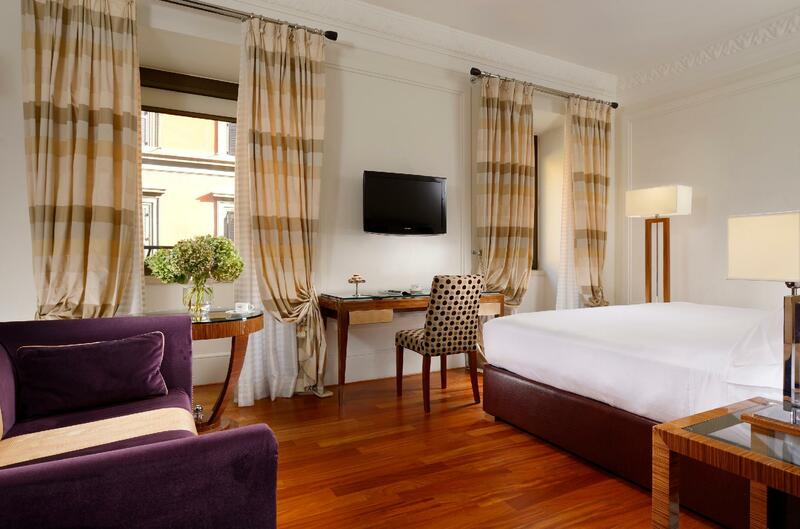 "Excellent location for walking to Termini, beautiful hotel a..."
Have a question for UNAHOTELS Decò Roma? "Locatiin good, near roma termini very convenient." "Good location near the train station." "Nearby fast food chain KFC and pizzeria across the hotel." "Convenient location and walkable to most tourist attractions..."
UNAHOTELS Decò Roma, located in Termini Central Station, is a popular choice for travelers. For those of you who want to venture out, Santa Pudenziana, Palazzo Massimo alle Terme, and Papal Basilica of Saint Mary Maj are just some of the attractions available to visitors. Simply put, all the services and amenities you have come to expect from UNAHOTELS are right in the comfort of your own home. A selection of top-class facilities, such as restaurant, free Wi-Fi in all rooms, currency exchange, room service, and the 24-hour front desk can be enjoyed at the hotel. Step into one of 196 inviting rooms and escape the stresses of the day with a wide range of amenities such as a desk, air conditioning, LCD/plasma screen TV, and an in-room safe. The hotel's host of recreational offerings ensures you have plenty to do during your stay. 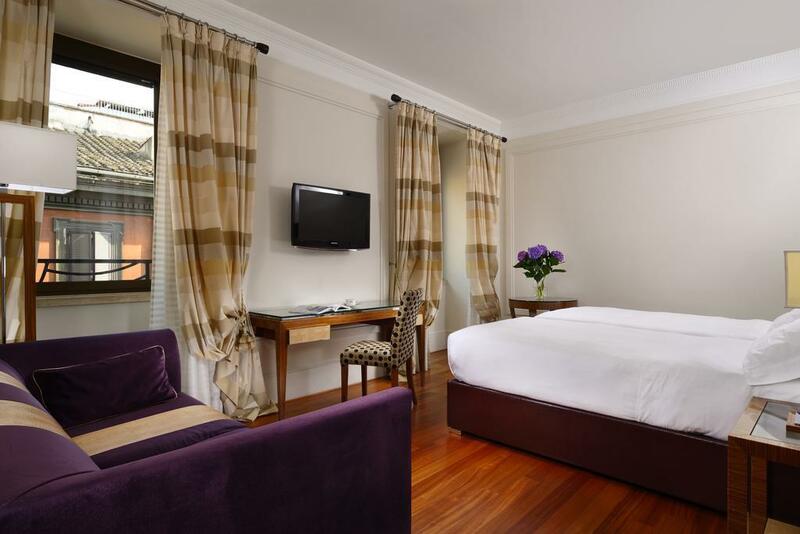 When you are looking for comfortable and convenient accommodations in Rome, make UNAHOTELS Decò Roma your home away from home. Parking is available at an additional charge. Guests are required to put a request in the “Special Request” section upon booking or contact the property directly. Everything was okay except few things. * went in Feb and the hotel couldnt turn off the heating because of govt rules or whatever, i was feeling hot in the room but i couldn't control the temperature as the control was disabled in every room. It was quite disappointing and the worst part was that i was moved on higher floor because up there the rooms were cold and they turned the heating off for that room but still no aircon hence we slept in a room with no aircon no heating. * my room was changed to a higher floor and it was superior room but they did not include water which was part of that room deal. * things like iron and iron board were not in the room. Water isnt free in the hotel, you will be charged €3 for a water bottle. Good location near the train station.. Despite having big luggages with hand carry-ons, it’s not too challenging to walk to the hotel directly.. easy to find (less than 10 mins without the luggages) and hotel room is clean.. nearby fast food chain KFC and pizzeria across the hotel. Down the streets, it’s the shopping district.. When I get the room, I find the toilet was broken with a screw driver nearby. Minutes later, a man come to fix the toilet. So the room was not prepared for guests to check in, but the reception put us there. We wait for half an hour for the man to fix the toilet and found out that the air condition was not working. It was terribly hot in the room. I called the reception, they said they will send someone to the room, but after 1 hour of wait, no one come. I called again and they said it was a central problem. I insist they should send a person to the room. The staff asked us to open the window. As the location was noisy, it is like you are sleeping in the middle of street. You can hear people shouting and dogs barking. I called the reception, the staff asked me to call them to turn on the heater when it is too hot and asked them to turn off when it is too cold, so for definite, the air conditioning is out of control in the room. At this price, there are plenty of options nearby. 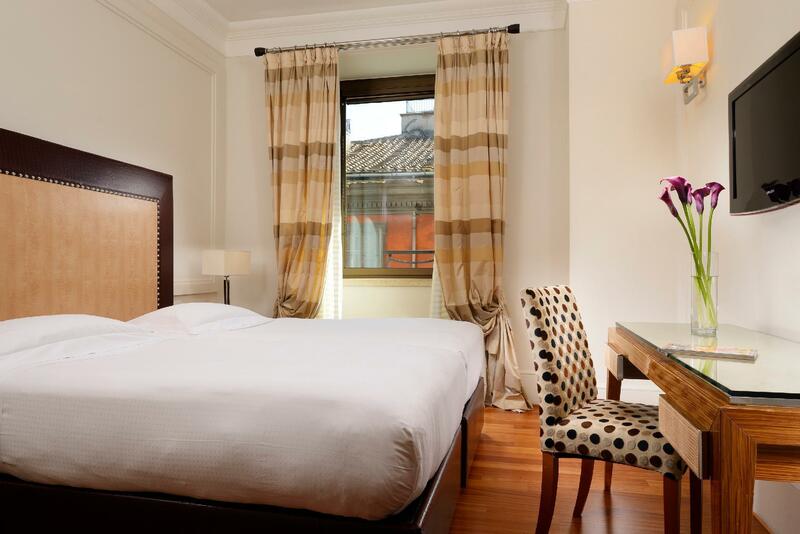 Convenient location as the hotel is a few minutes walk from Termini station. We walked to all the usual tourist spots, well except to the Vatican. 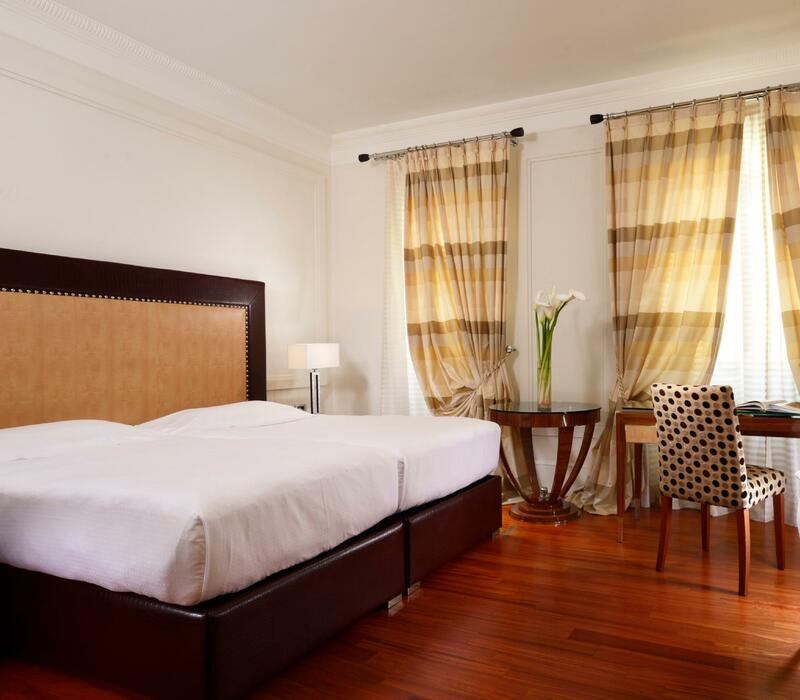 Large, clean and nice room with ample closet space. There are basic toiletries in the bathroom but they would provide you additional toiletries (hair conditioner, toothbrush, etc) if you ask. The staff were polite and helpful but seemed a bit stern especially the staff at the breakfast restaurant. They were attentive and all but smiles are hard to come by. We also felt like we were being watched while eating and it was uncomfortable. Good breakfast and selection. The first night was harsh because of the really loud noise coming from the heater. But after talking about it to the reception staffs they offered us the better room which was really cozy. I would like to visit Una again. Oh but the tea pot they brought for the coffee for the breakfast was partially broken so I was a bit perplexed thinking about ‘Do they knew this but still brought this to us ?’ Well but still I think Una is a nice place to stay when visiting Rome. 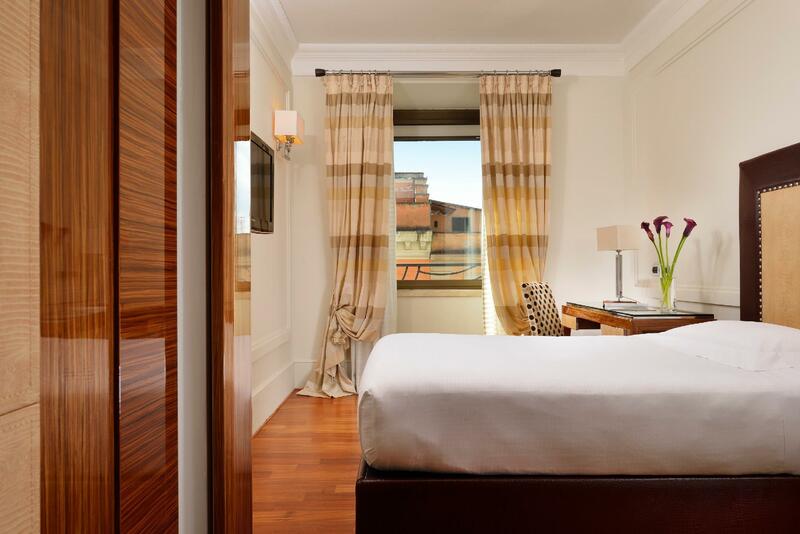 Excellent location for walking to Termini, beautiful hotel and lobby. Very classy. The room was not so clean and smelled terrible, like sewage off an on. We had to leave the windows open often to air out room. Also, the shower was a death trap! You had to step up high to get over the tub and the bottom was very slippery. Very strange set up and dangerous. 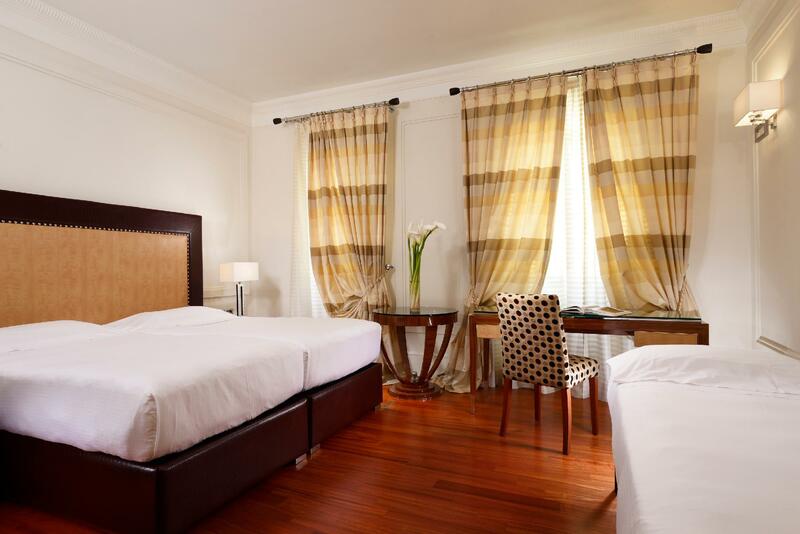 Great hotel with touch of luxury across the room with wooden and leather panel. The location is very convenient just 100-150m to metro station/rome termini and there are few restaurants/mini market around the hotel. Room is pretty tight and small i suppose just like in tokyo, there are no water boiler jug/tea/coffee inside the room as we didn't use them anyway, fridge available inside the room, aircon, pillows are a bit flat but there are options if you want to change the pillow. Bathroom also a bit small, got rain show and the pressure was good. Wifi signal was quite bad and weak but we won't be bother with that. Breakfast was great, pretty good options, good taste and good quality. Price wise ok, worth the money considering the location and the quality of the hotel. Would return next time! The hotel is so handy to the train station And the metro station. Room is spacious and clean. Location is perfect, just 5 mins walk to Roma Termini. Staff is very helpful and efficiency. They did not provide tea or coffee maker for superior double room. When I show them the room details provided by Agoda, they told me it is wrong. 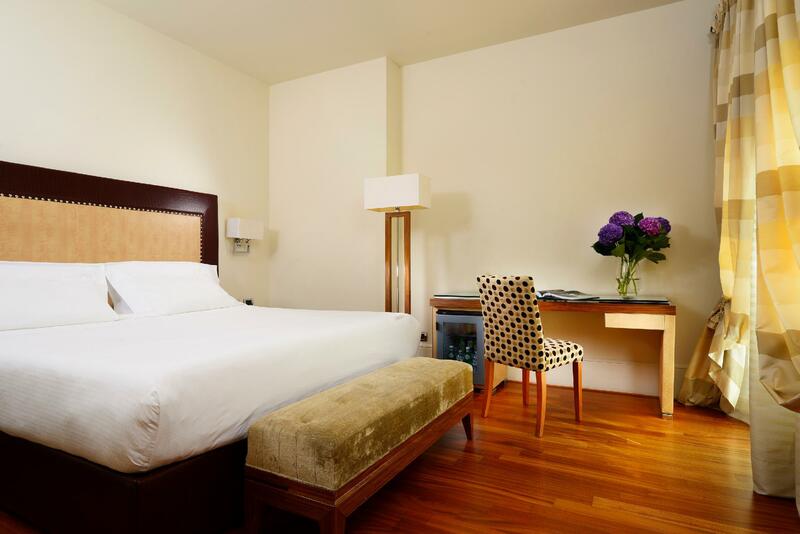 Upmarket hotel near termini, lovely room, comfortable bed, excellent breakfast and attentive staff. Room looked brand new. Downside was outside noise, trains and people shouting all night. Window needs soundproofing. Superior double is on the corner and has double window. It is spacious and nice bed to sleep. The breakfast is delicate. Also very good location. Just two things not perfect, one is the poor wifi, two is the noise from the tramway. Hotel was what we wished for and more. Location was excellent as we used the train into the Termini. Super friendy staff and very efficient. Spotlessly clean room with excellent furnishings and facilities. Snack prices and drinks at the bar reasonable . This added to the city it is located at made it a wonderful trip. Located very near to the Termini Station so easy to go around Rome. Walking distance around 20mins to Colloseum. A lot of restaurants and mini market around the area. Room was nice, breakfast was good, overall an enjoyable stay! Good location. 5min walk to train station. Rooms are very new and clean. There are good restaurants just down the corner of the hotel. A little noise could be heard from the diners but its perfectly fine. At least u will not feel the hotel is in a quiet street. Will be back. Highly recommended. Location is good. Room condition is good. Breakfast is good. Room condition was just okey comparing to other hotels in Rome. but, breakfast was nice. Very impressed the UNA GM and the staff for their birthday greetings to my husband in the room when we got back after a long day out. We had a good stay in UNA hotel and we love the location close to Roma Termini station. However, one thing we would suggest hotel to consider changing the shower door as water flashed out everywhere when we took shower. Overall, we enjoyed our stay in UNA and Italy and hope to return soon.